This is how to display HTML or send a HTTP response with PHP while processing a PHP script in the background, using ‘ob_start‘ output buffering. The code is put together from suggestions online, you could also use ‘ob_gzhandler‘ to compress the output buffer with gzip, which I haven’t. The “header(“Content-Encoding: none”);” is simply a paranoid measure, since this won’t work if it’s set to anything else. When I moved from an old PHP 5 set up to using PHP 7.2 with PHP-FPM, ob_start(); stopped from working. To fix this problem, I added “fastcgi_finish_request();” to the end. 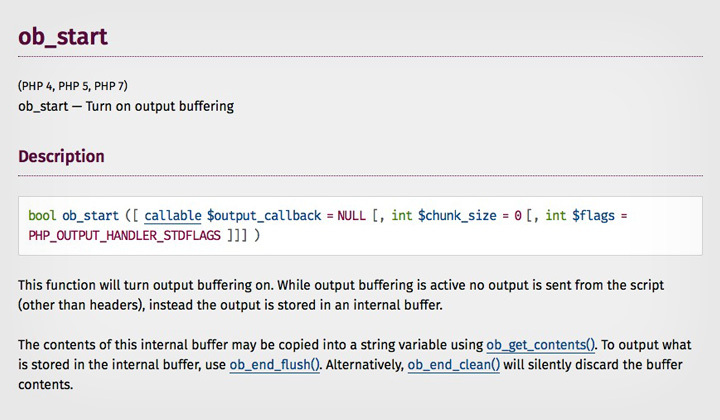 Other suggestions I saw was to change the “output_buggering = 4096” line in php.ini to Off but this had no effect for me. That’s pretty much all there is to running PHP in the background.